Beginning in 2017, Paolo Colet serves as an Assistant Professor of Nursing in the School of Medicine, Nazarbayev University. He is a registered nurse in the United States (USA) and as a registered nurse-midwife in the Philippines. 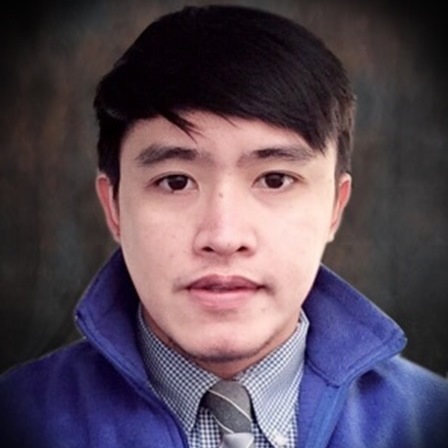 He has a vast experience in nursing and midwifery education and practice in the Philippines and Saudi Arabia, being a lecturer, clinical instructor, part-time school nurse and reviewer for the nursing licensure examination. Mr. Colet trained at La Union Maternity and Children’s Hospital and in Ilocos Training and Regional Medical Center in the Philippines. He earned his baccalaureate degree in nursing, post graduate studies in medical-surgical nursing and educational management at Union Christian College and Saint Jude College. He is a member of the Honor Society of Nursing (Sigma Theta Tau International), and Royal College of Midwives (UK). Also, he serves as a reviewer for several nursing journals. His experience in local and international setting had influenced his research interest, particularly, in holistic nursing care, quality care, patient safety, maternal and child nursing care. Cruz, J. P., Alshammari, F., Alotaibi, K. A., & Colet, P. C. (2017). Spirituality and spiritual care perspectives among baccalaureate nursing students in Saudi Arabia: A cross-sectional study. Nurse education today, 49, 156-162. Cruz, J. P., Colet, P. C., Bashtawi, M. A., Mesde, J. H., & Cruz, C. P. (2017). Psychometric evaluation of the Cultural Capacity Scale Arabic version for nursing students. Contemporary nurse, 53(1), 13-22. Cruz, J. P., Colet, P. C., Alquwez, N., Alqubeilat, H., Bashtawi, M. A., Ahmed, E. A., & Cruz, C. P. (2016). Evidence-Based Practice Beliefs and Implementation among the Nursing Bridge Program Students of a Saudi University. International journal of health sciences, 10(3), 405. Cruz, J. P., Colet, P. C., Qubeilat, H., Al-Otaibi, J., Coronel, E. I., & Suminta, R. C. (2016). Religiosity and health-related quality of life: a cross-sectional study on Filipino Christian hemodialysis patients. Journal of religion and health, 55(3), 895-908. Colet, P. C., Cruz, J. P., Cruz, C. P., Al-Otaibi, J., Qubeilat, H., & Alquwez, N. (2015). Patient safety competence of nursing students in Saudi Arabia: a self-reported survey. International journal of health sciences, 9(4), 418.